Fred Kijek was a Flying Wing (Flanker or Slot Back in more modern terms) and Fullback from Hamilton* who was also one of the best punters of his era. In the era that Kijec played, a good punter was a valuable commodity. Unlike today when it is a bad kick when the punter gets a single point, back then a punters tried for a single point as touchdowns were much rarer and every point counted more. Kijek played 12 years in total, from 1940 to 1951. Kijek started his career with the Hamilton Tigers (the Tigers would only become the Tiger-Cats in 1950 when they merged with the Wildcats) of the IRFU or Big Four in 1940. 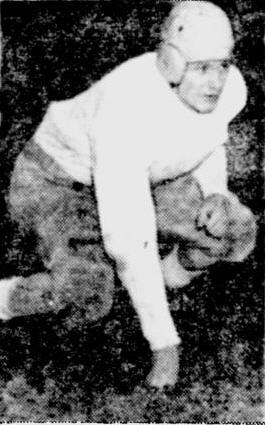 Kijek moved to play for the Toronto Argonauts in 1941 as World War II forced the Tigers to shut down. In 1942, the entire IRFU would shut down for three years and most of the football was played by military teams. Kijek played for the Toronto RCAF Hurricanes in 1942 and 1943, winning the Grey Cup in 1942. The RCAF Hurricanes played in the ORFU (Ontario Rugby Football Union) which kept going during the war. In 1944, Kijek played for the the Camp Borden RCAF Fliers, and then with the war over in 1945, Kijek played two years for the Toronto Indians of the ORFU. In 1947, Kijek was reunited with his coach of the 1942 cup champions, Lou Hayman in Montreal. 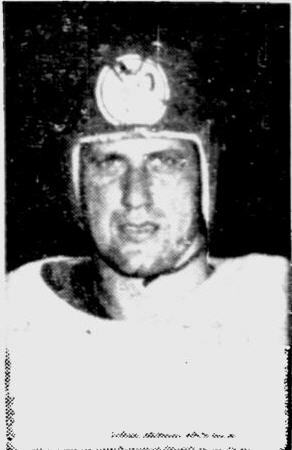 Hayman had helped to found the Alouettes the year previous in 1946 and Kijek would play three seasons for the Als from 1947 to 1949. The 1949 season saw Kijec won his second Grey Cup as the Larks took home the trophy. In 1950, Kijek returned home to Hamilton to finish his career by playing for the Hamilton Tiger-Cats for two seasons. Fred Kijek passed away on March 21, 1986. * Kijek was born in or near Hamilton and born on around October 4, 1919 according to the christening record (see link below on his death). If anyone has more information about Kijek's place and DOB, please see the Contact Me link above.